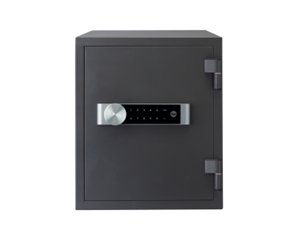 The Large sized safe is large enough to fit A4 papers and is ideally used for a discreet and efficient storage of jewelry, passports, certificates, precious paper documents from fire. - Tested to withstand up to one hour intense fire. - Internal temperature will not exceed 150 ºC in 927 °C furnace. Copyright © 2019 Ekotrends Capital Sdn Bhd. All rights reserved.